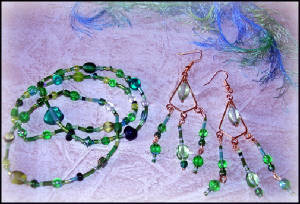 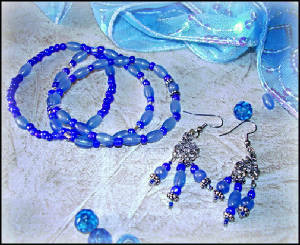 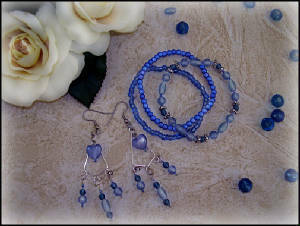 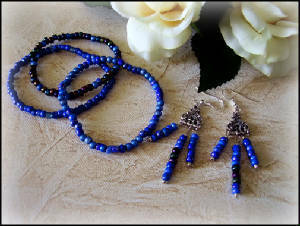 Bracelet and Earring Sets are a quick and fun way to liven up and add sparkle to any outfit. 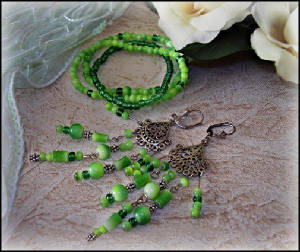 Be it jeans and a t-shirt for a trip to the grocery store, or a night on the town, stylish pieces will add that little extra touch you need to wow them. 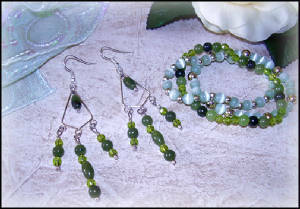 Beautiful Blues and Gorgeous Greens bracelets and earrings sets are all handmade, bracelets are stretchy for easy comfort fit and wear and chandeliers dangle and shake at just the right length.